Paul Oakenfold is the reason I got into trance music. My friend dwillens lent me his Tranceport cd during freshman year of college and I was hooked. I haven't really been a fan of Oakenfold's later stuff, now I'm more into PVD, DJ Tiesto, and Armin van Buuren - but it would be pretty cool to see Oakenfold live. Tickets are $40. Click (here) to go to the Estate website for more information. 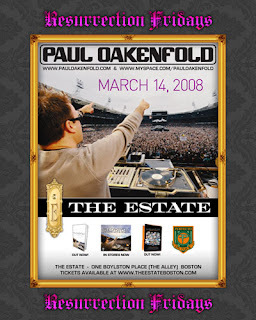 0 Response to "Paul Oakenfold at Estate Tonight - 3/14"